When I was in NYC a couple weeks ago I noticed a trend – the girls wore short black tunics with short black boots and messy hair. I spotted it everywhere from Williamsburg to SoHo to the Lower East Side and of course I loved it. So yesterday I tried the look. 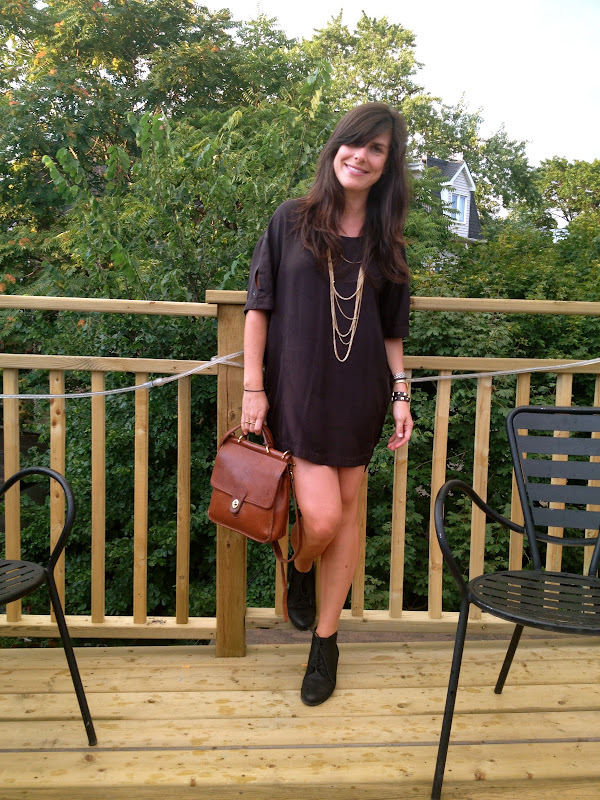 I wore my old (but favourite) tunic from H&M with new short boots by Bass (SO comfortable). The tunic is pretty short so I felt like I wasn’t wearing pants, but it’s summer and my legs are finally tanned so I didn’t care. unless they’re seven dollars. Boom!